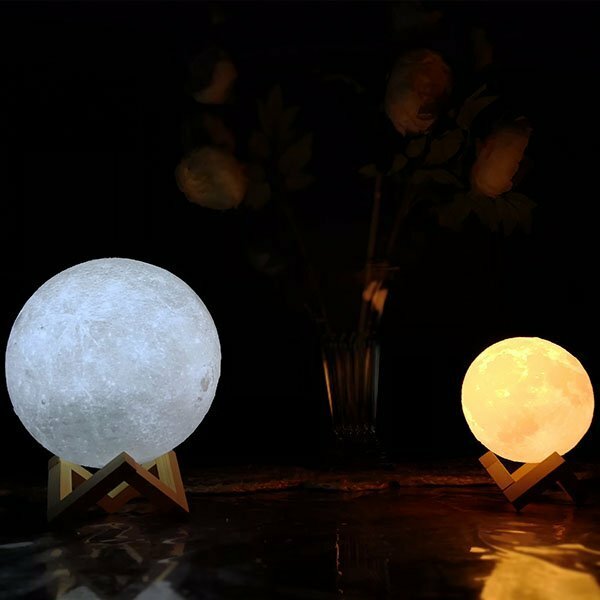 Such a cute light. It made a great gift for my cousin who is in middle school. 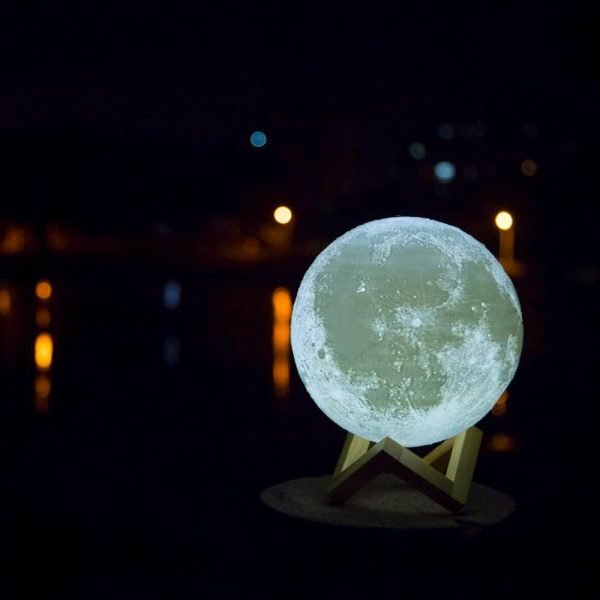 She put it on her side table and turns it on at night. It easy to charge with a standard USB cable. 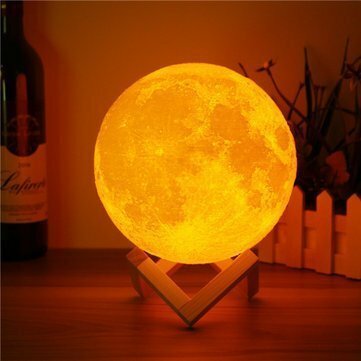 I would suggest that the charging port be made on the side instead of under the lamp. It cannot be placed still on a flat surface when charging. Other than that I liked it. It can change from yellowish light to white light. 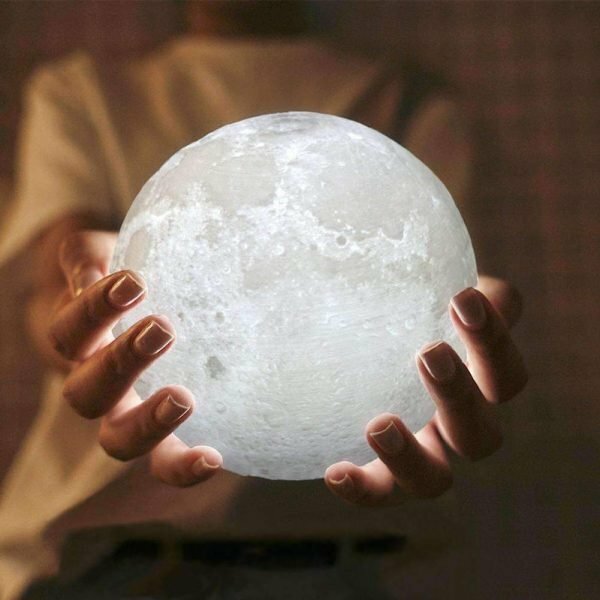 Purchased this as a nightlight for when baby is being breastfed. It has the perfect low lighting so we can see in the dark but it’s not too bright that it wakes us up. The light is soft yet vibrant. I was going to give it 4 stars because it didn’t come with the wall plug to charge it, just the cable and can plug in to any usb charger, laptop too but I am so amazed by the design that I can’t take a star away. 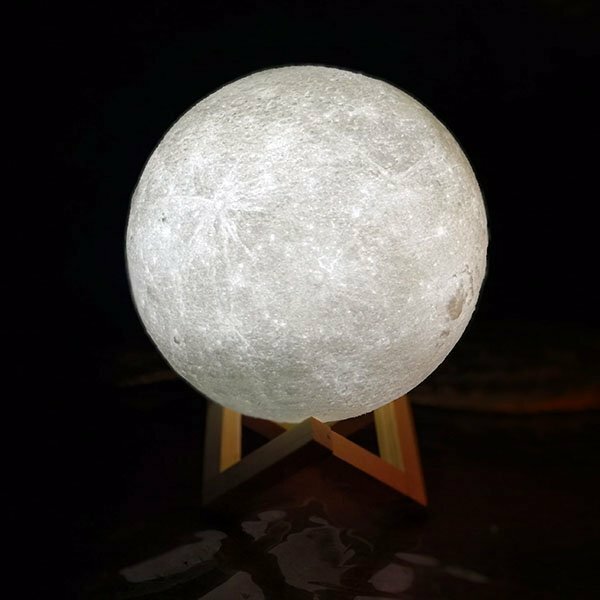 It has a metal circular design on the bottom to change colours and turn the light on and off. Overall we are very happy with the light. Bought this for our classroom. It’s on also all day every day and has performed flawlessly. What more needs to be said? I highly recommend. Hope this helps. Cheers! Ive had my eye on this lamb for a while and am so happy I bought it! It looks fantastic and is very unique. 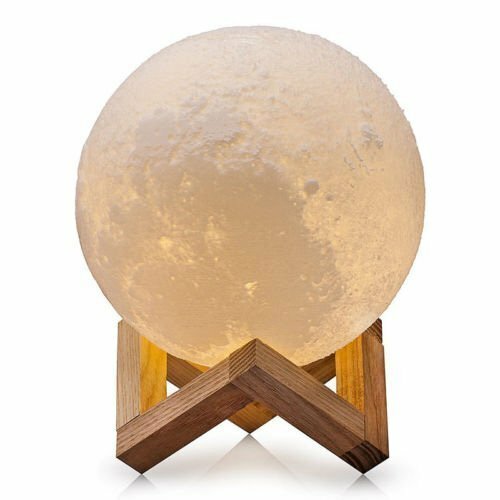 Its like having a replica of the moon just sitting on your shelf. 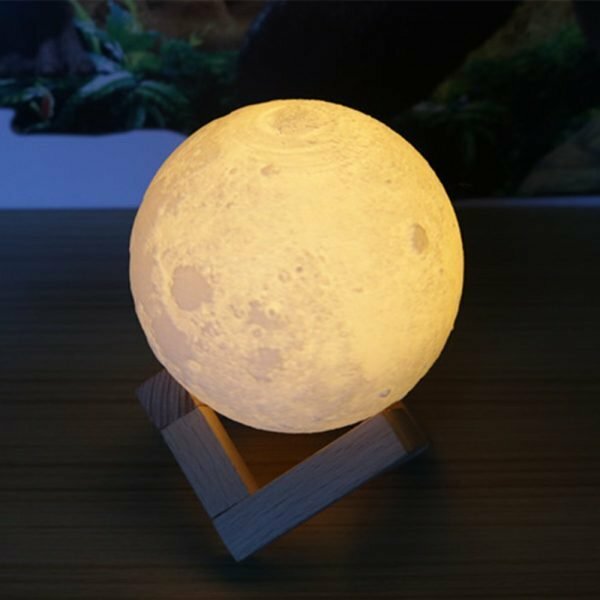 Love the fact that it has 2 different colours, the bright white and the darker yellow, both of which can be seen in a real moon. Also love the dimming feature on it. It holds a charge for about 8hrs, which is enough for a few evenings of use before you have to recharge it with the accompanying usb cord. Very satisfied with my purchase. very happy with the product!! beautiful!! and fun to play with!! looks great and shipping was much quicker than expected. thank you so much!!! We bought it for our youngest son to replace an older hand-me-down night light from my youth and it arrived with a long crack on a horizontal seam — despite being well-packed. 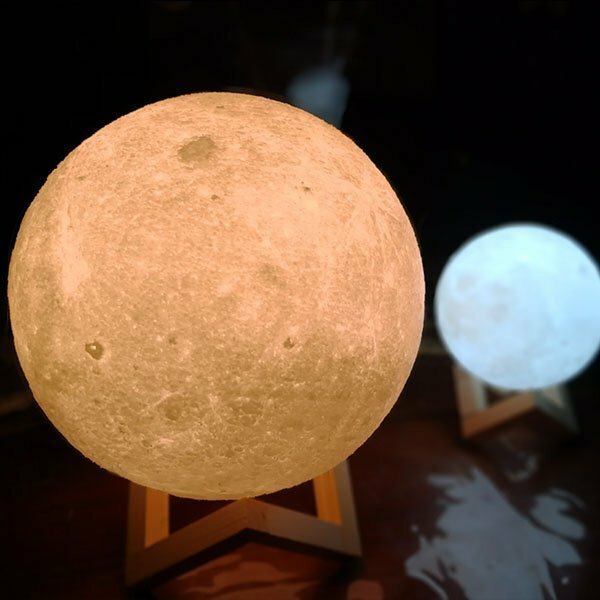 We assumed it had been damaged in transit Contacted Ultimatemoonlamps and they promptly sent a replacement via express post. It is a wonderful trinket and I recommend it for a young one who is scared of the dark and loves the moon. It is bright in the highest-white setting, but it’s not painful to the eyes in the dark.